Dörken | Salmon Bay Sand & Gravel Co.
Dörken manufactures materials that help to protect the building envelope from moisture related problems. 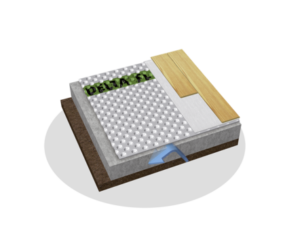 Below grade drainage or wall waterproofing membranes like our DELTA®-DRAIN or DELTA®-MS are manufactured with approximately 60% selected recycled HDPE. To create a product that is sustainable and durable the recycled core materials are encased in virgin HDPE polymers….our products function for a lifetime.  Salmon Bay is a full line distributor of Dörken products. 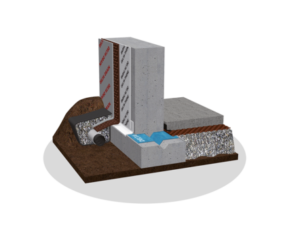 Is a dimpled membrane that uses our exclusive Air-gap Technology to ensure your basements stay dry and last longer. The vacuum-formed dimpled pattern creates an air gap between the membrane and the foundation, allowing water to drain. Unlike sprays, which crack when concrete walls crack, it bridges cracks so no water intrusions can occur. MS is a dimpled membrane made from high-density polyethylene (HDPE) which is co-extruded – 60% recycled HDPE and 40% virgin HDPE. The virgin HDPE outside layer and recycled HDPE core make it the most durable dimpled membrane on the market. Is the ideal solution for applications where high-drainage capacity is required. Whether in commercial or civil engineering applications, its outstanding impact resistance helps maintain the integrity of the dimpled core even under tough conditions. The non-woven, needle-punched geotextile prevents the passage of soil particles but allows water to pass freely, ensuring that the drainage core will not get clogged. Its core provides a continuous path for water discharge, eliminating the potential for build-up of hydrostatic pressure. FL is a dimpled, heavy-duty, gray plastic membrane for concrete and slab-on-grade floors that helps to keep moisture out of your basement. The membrane provides a significantly more comfortable floor. DELTA®-FL protects sensitive materials by providing a reliable capillary break and vapor barrier. 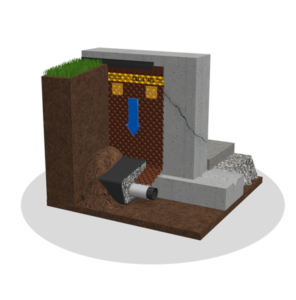 The air gap created by DELTA®-FL allows the water vapor pressure above and below the concrete slab to equalize, while preventing the moisture from migrating further inwards, resulting in your basement area staying dry and comfortable. Additionally a thermal break is created, which increases the comfort in your basement and makes the floor feel warmer. DELTA®-MOISTURE PROOF TAPE, designed for use with DELTA®-FL, has highly adhesive properties that tightly seal the edges between seams. The product ensures moisture cannot migrate through joint areas, keeping mold and moisture damage at bay. In conjunction with DELTA®-FL, DELTA®-MOISTURE PROOF TAPE ensures a functional, vapor-tight basement floor. 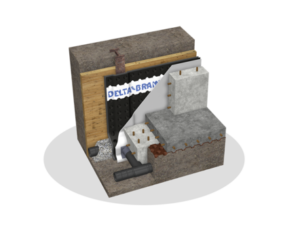 DELTA®-MOLDSTRIP is a molding used to finish off the installation of DELTA®-MS and DELTA®-DRAIN at the flat tab, around windows and doors, at grade level, or at grade changes in the foundation. It is attached with concrete nails. Used to fasten the flat tab of the DELTA®-MS to the foundation walls, and to stop debris from clogging the air gap drainage plane behind the membrane. Concrete nails are used to attach it to the walls. A multi-stud fastener for the safe attachment of DELTA®-MS and DELTA®-DRAIN to the foundation wall. The fastener provides superior holding power to prevent tear-out at fastening points during backfill.